En - Liang has developed it's own BMC, epoxy, phenolic and conductive compound over the years. BMC and epoxy molding compound﻿s are widely used in high and low - voltage electrical systems as well as precision optic components. They play a vital part in the electrical, electronics and automotive industries. En - Liang is located on a 3,500 sq.m. site in the Hsin - Chu Industrial Park in Taiwan. since our founding in 1983 we have taken on the mission of providing total solutions for BMC / epoxy materials and finished components, offering the highest quality products through ongoing research and development. 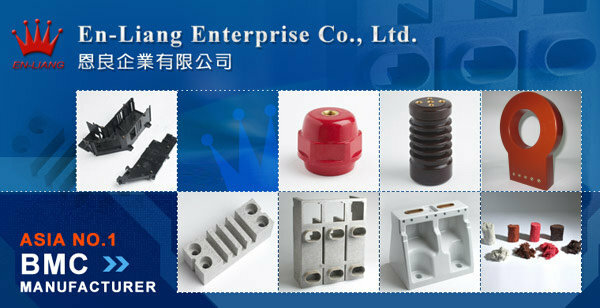 En - Liang is one of the most important suppliers of products and services in bulk molding compound area in both the Taiwan and global markets.